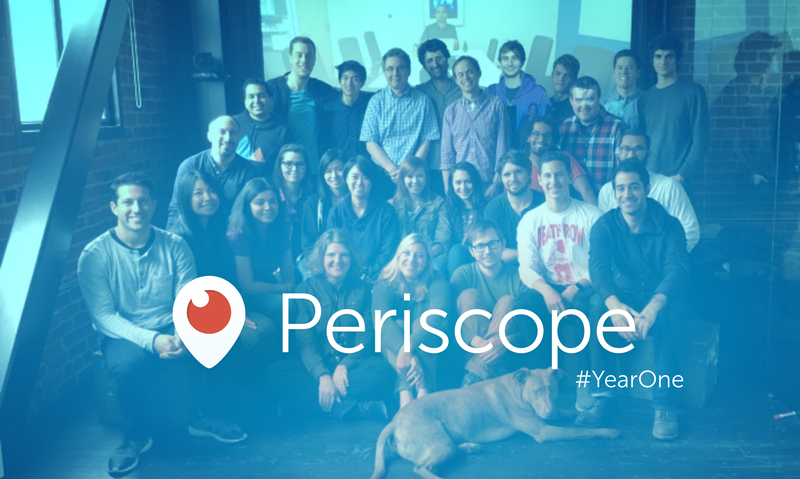 Saturday marked one year since we released Periscope to the world. We’ve come a long way since then and we have you, our community, to thank. Time Watched represents the total amount of time spent watching live broadcasts on Periscope for iOS & Android. It does not include time spent watching broadcasts within Twitter, on the web at periscope.tv or replays. We’re proud of what we’ve built together and we’re excited to share just how far we’ve come. As of today, over 200 million broadcasts have been created on Periscope and over 110 years of live video are watched every day on iOS and Android (read more here about why we value “Time Watched” as a metric). For everyone who joined us along the way, we hope this reaffirms that you are a part of something bigger. Thank you for making Periscope a vibrant global community– it means everything to us. Cheers to a great first year!